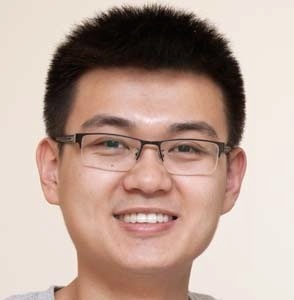 Attribute-based representation has shown great promises for visual recognition due to its intuitive interpretation and cross-category generalization property. However, human efforts are usually involved in the attribute designing process, making the representation costly to obtain. 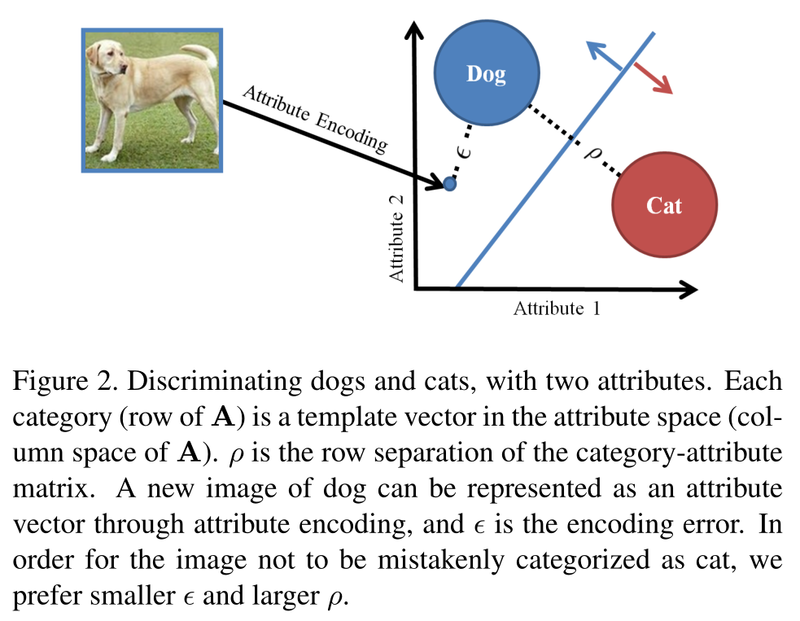 In this paper, we propose a novel formulation to automatically design discriminative "category-level attributes", which can be efficiently encoded by a compact category-attribute matrix. The formulation allows us to achieve intuitive and critical design criteria (category-separability, learnability) in a principled way. 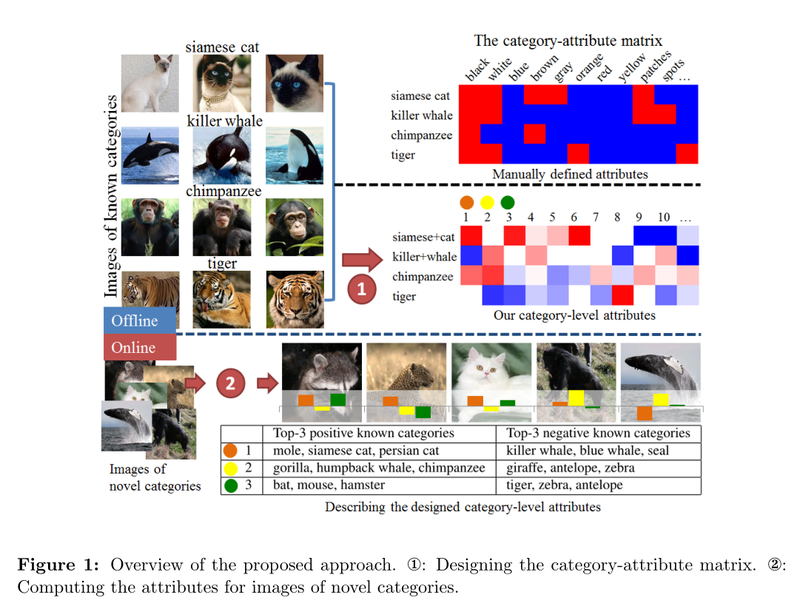 The designed attributes can be used for tasks of cross-category knowledge transfer, achieving superior performance over well-known attribute dataset Animals with Attributes (AwA) and a large-scale ILSVRC2010 dataset (1.2M images). This approach also leads to state-of-the-art performance on the zero-shot learning task on AwA. Specifically, We propose a framework of using attributes as mid-level cues for multi-class classification. And the error of such classification scheme is used to measure the discriminativeness of attributes. The framework consists of two steps: attribute encoding, and category decoding. Felix X. Yu; Liangliang Cao; Rogerio S. Feris; John R. Smith; Shih-Fu Chang. Copyright © 2016 Felix Xinnan Yu.